How can we talk about the gift of water in a meaningful way today? We need to know the science of water and the stories that make it real. The water cycle we learn about in school: how water evaporates as morning mist and under the heat of the sun, how it rises and flows over the earth as clouds, how it descends in thunderstorms and drizzle. And then for a moment it seems to disappear, reappearing as streams and rivers, giving life as it flows to the ocean. Our story begins at the Pulangi River in Mindanao, Philippines, a most beautiful and vibrant tropical landscape. The village of Bendum is on the east side of the river, on the land given by the ancestors of the Pulangiyen who in turn had received it from the Creator. This land is precious to the daily lives of the people. Logging companies came many years ago and built roads, which were good, but cut the trees and left many poor workers behind who also wanted to till the land. So much land was tilled that even the community’s water source got ploughed up. Then the water collected by open bamboo pipes was not always clean and the children were often sick. The community had to agree first where they would draw their water from, so that no one would dirty the area with animals. We looked at all of the springs where water comes out of the ground and the Kias-u Spring looked good. So all agreed not to open the soil above it or put animals in the area. We built a cement box over the hole in the side of the hill, about 3x3meters and one and a half meters tall, with a manhole on the top and piped the water to four places in the community. It was wonderful, cool, clean water and so near the house, getting water was not drudgery. The biggest difference was that all of the 53 children who had bad stomach-aches came back to school! We have planted trees around it that are growing well and sometimes enter the spring box to cult the roots in the water so they do not clog the pipes. No chemical, no cooling just great water on tap! Even in the last El Niño the stream never gave up on us and continues to support a micro-hydro giving electricity for the school and long-house. Why did this work? People agreed there was a common problem and met several times to talk about it and seek action. The tribal council called for an agreement that the land to be allowed grow back as forest, technical assistance was found and the community dug the pipeline. Most important was someone learned how to repair the pipes and change broken taps (this happens all the time) and the tools were kept with the community to do this. If something goes wrong, the community talks again in earnest. We do not want to lose good water again. This is a community practicing by taking care together. And now, the youth are asking if they can do this for other streams and other communities. That is why water is a gift, and a right for all people, it is not to be polluted or rationed, but should even in our cities be available free, not to waste but to sustain the humble life of all. 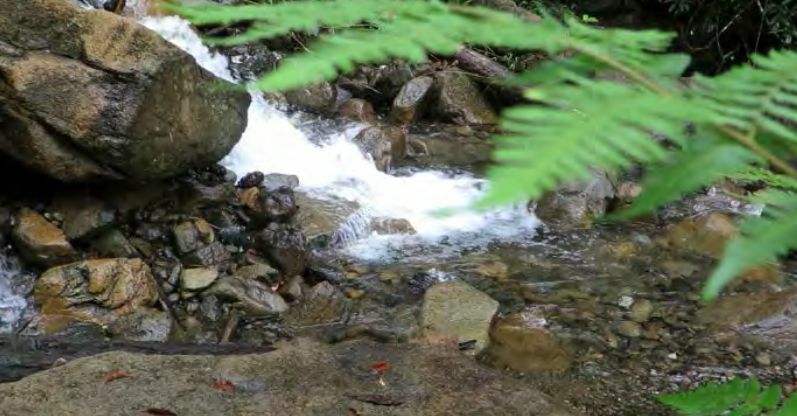 From Bendum our water flows clean down to the Pulangi that others may use it, a gift freely received must be shared with the same freedom and joy.